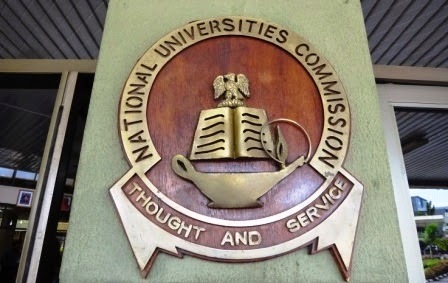 The directive by the National Universities Commission (NUC) cancelling the award of ‘Pass’ grade in the na­tion’s universities is causing dis­quiet in the Ivory Towers. The order, which was reportedly issued last year, came to the front burner at the 2014/2015 matriculation ceremony of Usmanu Danfodiyo University, Sokoto, when the Vice Chancellor, Prof. Abdullahi Zuru, informed the fresh students about the develop­ment. Zuru urged the students to em­brace the new E-grading system in the university and work hard to earn a good grade. He pointed out that with the new grading system, the pass mark for courses in the univer­sities will now be 45 percent, that is, the D-grade, instead of the previous 40 percent, which was E-grade. In the new order, the minimum class of degree that students can earn will now be Third Class. Universi­ties will, therefore, now only award First Class, Second Class (Upper Division), Second Class (Lower Di­vision) and Third Class degrees. The matter is, however, generating heated debates and controversies among stakeholders in the nation’s higher education system. It has vir­tually divided the universities into two camps, with one tenaciously supporting the old grading system while the other sees great merit in the new order. Those opposed to the new grading system say the decline in the qual­ity of education in the universities cannot be redressed with the re­classification of degrees. They want the NUC to, instead, work towards improving the quality of teaching and learning by providing qualified teachers and modern learning fa­cilities in the institutions. For them, shoring up the grading system with­out provision of the necessary staff­ing and equipment will neither im­prove academic standards nor the global ranking of our universities. They are also of the view that the move amounts to an erosion of the hard-earned autonomy of universi­ties. Those in support of the new grad­ing system say the upgrading of the score required to obtain a degree is a step in the right direction, if prop­erly implemented. Besides, they be­lieve that it will make the students work harder and ultimately enhance their grade. As the regulator of university edu­cation in Nigeria, the NUC unargu­ably has the statutory responsibility to do whatever it can to shore up the quality of degrees awarded by Nigerian universities. We believe that this increase of the pass mark required to earn a degree in Nigeri­an universities is well within the au­thority of the regulatory institution. It could, indeed, elicit more serious commitment to their studies from students when they realise that they could easily spend years in the uni­versities without passing out with a degree. The quality of the worst per­forming students in the universities may also be improved by this initia­tive. Nevertheless, we expect the NUC to properly sell the gains of this initiative to the universities before implementing it. The adjustment should not, also, be done in isola­tion. It should be accompanied with other steps that can help to raise academic standards. No doubt, the place of qualified lecturers and well equipped educational facilities such as libraries and laboratories can­not be dismissed in the quest to improve academic standards in our higher institutions. We expect more action from NUC in this regard. While it is not in contention that the NUC has the right to fix the pass mark in our universities, being the regulator of that level of education, we enjoin fuller consultation with the authorities of the various univer­sities for a harmonious and seam­less transition to the new grading system. It is necessary to carry all the stakeholders along for the innova­tion to be properly implemented. The need for a uniform grading system for the nation’s universities cannot be overemphasized. Beyond this, the ‘Pass’ degree is odious and is largely treated with contempt by employers of labour. Abolishing the grade will make stu­dents sit up and brace up to the challenges of their studies. Let our universities embrace and implement the new grading system. It is also necessary for NUC and the universities to properly enlight­en both the students and lecturers about the initiative so that all the stakeholders can be well informed about it and get prepared for its im­plementation.